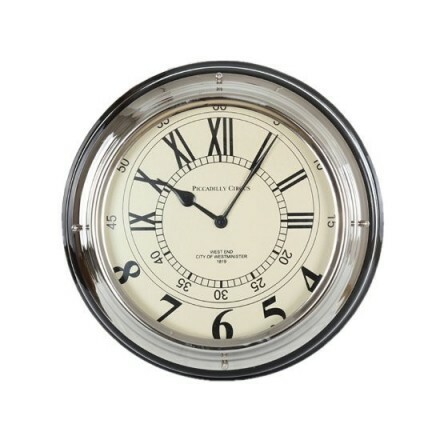 Large black and chrome wall clock. 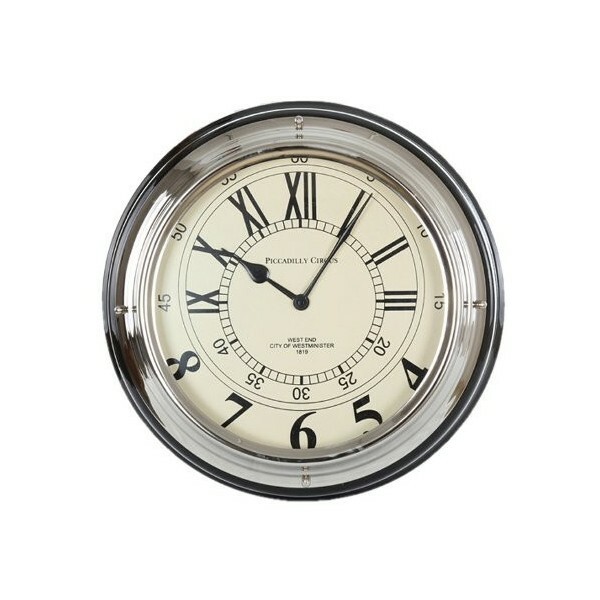 Handsome large matt black and highly polished chrome effect clock with an eclectic mix of roman numerals and numbers, features a dark cream face. Depth 12 cm, clock face diameter 23.5 cm, total clock diameter 34.5cms. Operates with one AA battery not included. Masculine clock with a strong presence, the unusual numbering system gives this piece the edge over normal clock faces and is sure to be a talking point for any room. Ideal for kitchen or study. Depth 12 cm (approx 5 inches), clock face diameter 23.5 cm (approx. 9inches) , total clock diameter 34.5cms (approx. 14inches).